Every trip we have taken over the past nine years has been influenced by our son. Whether we went to Latvia, Spain, Nicaragua or California, Benjamin has definitely made his voice heard. We often find that when he is happy during our trips, we’re happy. Hi, I’m Benjamin and if you saw what I drew when I was 6, I’m 9 now, so I actually have some opinions about the places my parents take me. It might not be as detailed as what my mom and dad write, but at least it’s something. Oh, did I mention that I might be writing on Darn Good Digs along with my parents? If I actually write on this website, I promise to tell the truth on everything I write. A little while ago my parents took me to Colonial Williamsburg in Virginia over winter break, and it is absolutely great! For parents, or adults, at least. To be honest, it is not so great for kids if you spend the whole day there because it’s waaaaaay too much history. If you spend a few hours, it’s OK. In that few hours I recommend going to the gunsmith, blacksmith and armory. 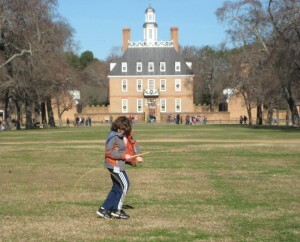 The Palace Green and Powell House are fun too because there were games for kids. If you have time, you could also go to the wigmaker. I liked the wigmaker because the woman performing there is really good at acting. But there’s also loads of other great things you can do in the Williamsburg “AREA.” Jamestown and Yorktown I really liked. Jamestown Settlement is great because there is still lots of history, but they make it pretty fun to learn, and they do that by adding huge replicas that you can go into. 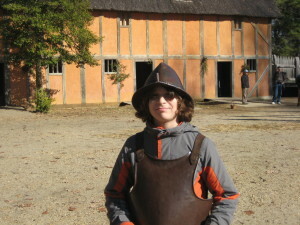 For example, they have a replica of Jamestown Fort, the three ships the colonists sailed, and a Powhatan village. 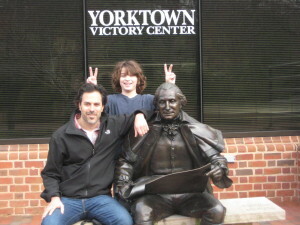 Oh, and Yorktown Victory Center is a lot like Jamestown, but it’s about Yorktown. It’s really cool because they have a performance where they actually fire the cannons, guns and mortars like they did during the Revolutionary War. And they have a medical tent which is really gross because they have all the tools that they used to cut off people’s arms and legs to so-called “save” them. So, in my opinion, the Williamsburg “AREA” is a fun place to go with kids, but adults might like it a lot more. 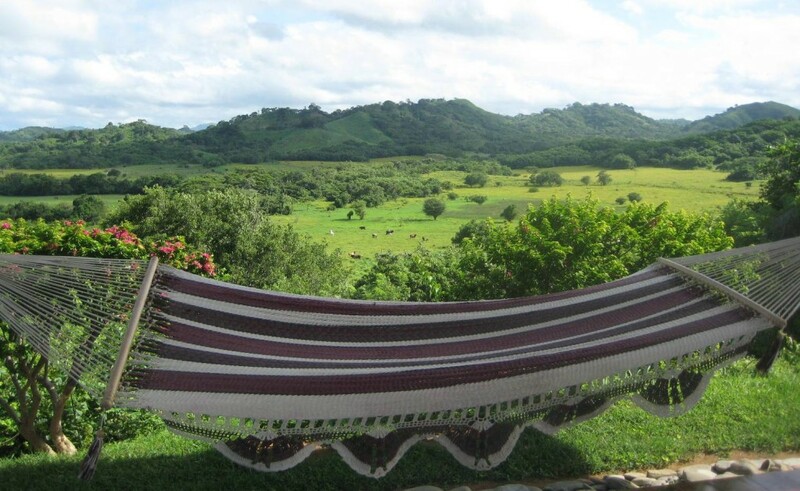 One of the views from Soma Surf Resort in Popoyo, Nicaragua. 2. Where to rent a car: We wanted a 4×4 to have the freedom to travel on bumpy dirt roads, and we definitely needed the all-wheel drive on Ometepe Island and on some mountain roads in the north. After lots of research, we found Armadillo to have the best rates – and Peter was very professional and reliable. But renting a 4×4 was much more expensive in Nicaragua than Costa Rica, for example, and our Armadillo car was not shiny brand new. 3. Favorite hotel for under $100: Hands down, the Soma Surf Resort near Popoyo Beach was incredible. View of Granada Cathedral from church bell tower. Leon – We flew into Managua, got the 4×4 from Peter who was waiting in the parking lot, and headed directly for Leon. We stayed at the lovely Hostal Mariposa, and rode the bus to town in the mornings. 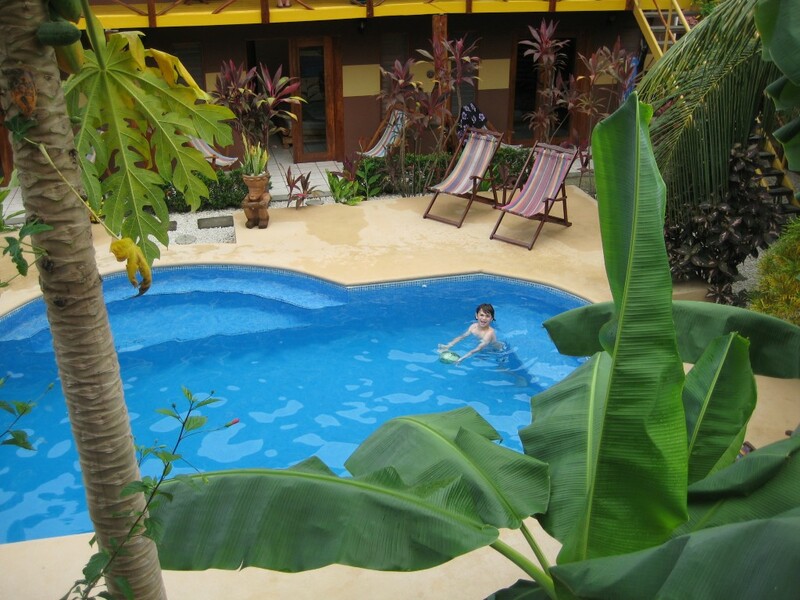 Benjamin loved the pool, the owners and guests were very friendly, and Leon felt like an authentic Nicaraguan city with colonial streets. Taking the rooftop tour of the Cathedral gave us a good bird’s eye view of the city. Esteli – We had some bad timing in Esteli. We arrived just as the city was preparing to shut down for the Independence Day celebrations. We did get to check out the cowboy boot stores (didn’t buy) and get a quick private tour of a cigar factory in town. We only stayed for one night at the Villa Riviera, owned by Esther, a Dutch woman in one of the gated communities just outside town. Breakfast was delightful in her little garden. Jinotega – We spent one night in the coffee growing mountains north of Jinotega at a place called La Bastilla Ecolodge. The food was delicious and the staff friendly – but we didn’t linger more than a day because the attached school we hoped to visit was on vacation and the weather was rainy. So we headed to Matagalpa, with a stop in Jinotega on the way. Matagalpa – We just spent an evening and morning in this city, walking around town when the rain let up. Again, the country was still on vacation so we didn’t make it to El Castillo de Cacao for the chocolate tour. We did, however, eat several of their delicious chocolate bars during our trip! Our highlight from Mataglapa was dinner at the hidden Italian restaurant, La Vita e Bella. Laguna de Apoyo – This is when our vacation started to feel more relaxed, and the weather started to brighten. We stayed at San Simian Eco Lodge for two nights. 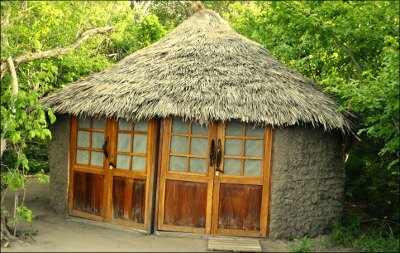 Our Mango Hut was comfortable, and the outdoor shower with hot water was fun (moreso when the electricity was working). Breakfasts and dinners on the terrace were yummy. 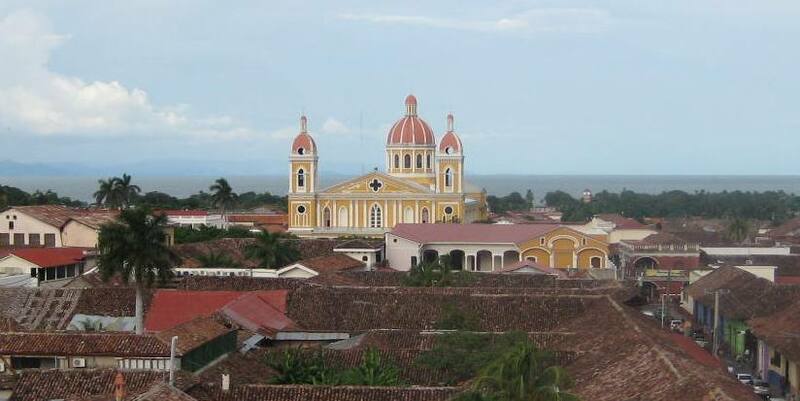 Our day trips to Masaya Volcano, Masaya Market and Coyotepe Fortress were all worthwhile. Ometepe Island – Finca Mystica was a treat. Ryan and Angela are creating a special place, with yummy food and an amazing vibe, though be prepared for a mean dirt road to get there. Benjamin decided to spend his birthday at Ojo de Agua natural springs, and then we ate some fresh pasta at Cafe Campestre, saw some petroglyphs on the road to Hotel Finca Porvenir, and finally celebrated his birthday with our new friends back at the Finca. Our hosts even made a special carrot cake with chocolate icing for everyone. Be sure to stop at the Cornerhouse in Moyogalpa for the best batidos on your way to or from the ferry. We took the San Jorge – Moyogalpa ferry because the times worked best for us, though we heard the San Jose ferry might be nicer. And make reservations in advance if you have a car. San Juan del Sur – We heard that this beach town might be too touristy, but we still dug it. A lovely restored church with town square, excellent bakery at Pan de Vida , and we enjoyed eating dinner watching the sunset while Benjamin played in the sand on the beach. Plus, Casa del Soul was amazing – spectacular views, terrific pool and breakfast. 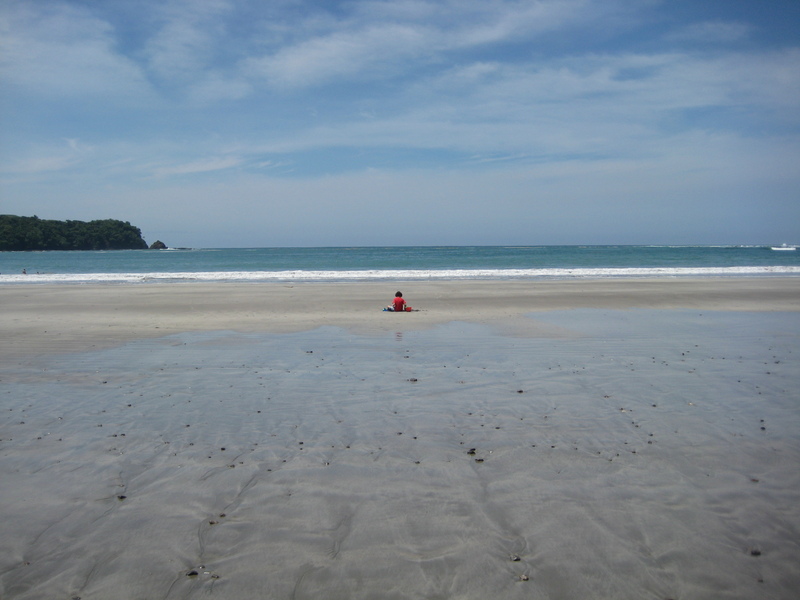 We recommend hiking down to the sandy beach in Nacascolo Bay, about 45 minutes away. Popoyo – We’re not surfers, but we still enjoyed the scene around this famous break beach. Soma Surf Resort was the nicest place we stayed on our trip – with its infinity pool, yoga platform, colorful hammocks, incredible views of the green countryside, outstanding service, and deluxe rooms. Somehow it cost us less than US$100 a night, when it felt like one of those exorbitantly priced private luxury resorts. The surf is rough, so choose your swimming beach carefully. Still, we watched the surfers tackle immense waves at Popoyo, snorkeled in the tidal pools, and grabbed lunch at the Magnific Rock Hotel. 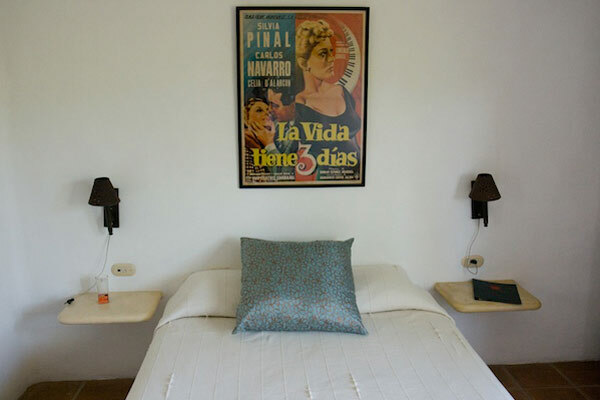 Granada – We spent our last four nights at Miss Margrit‘s Guest House in the colonial city of Granada. This traditional hacienda with its double courtyard was another highlight. We explored the town, tried out many of its restaurants, took a chocolate making class at the Chocolate Museum, hiked around the top of Mombacho Volcano, bought pottery in the white villages, took in the views and the local scene at the Catarina Mirador overlooking the Laguna de Apoyo, and rented bikes. Would you consider sleeping in a pod? The experience will save you money in notoriously expensive Singapore and get you modern digs in the heart of the city’s Chinatown. 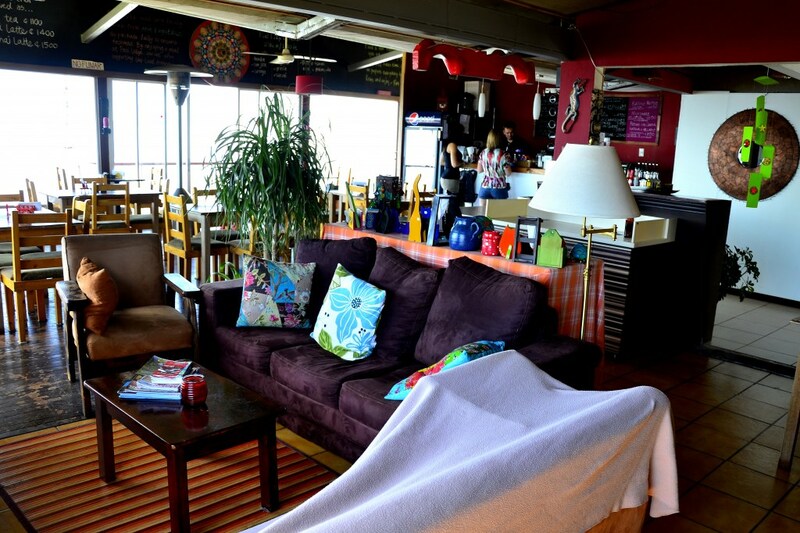 Plus, you might meet some fellow travelers in this friendly hostel. Vibe: Wink has a relaxed atmosphere, doesn’t feel overcrowded, and is run by a group of wonderful, helpful people. If you are interested in making a booking, you can check availability and get prices at booking.com. 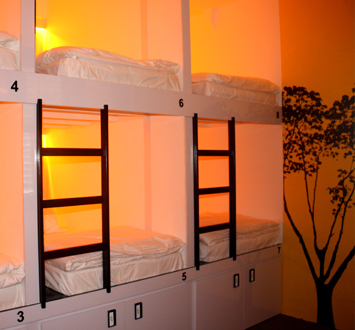 A big thank you to Ria Mandik from Jakarta, Indonesia for nominating this cool pod hostel. As always, if you’ve stayed at any extraordinary independently owned accommodations for budget-minded travelers, please let us know and nominate them today on Darn Good Digs! We heard that Costa Rica was an amazing place to travel, but somehow it still surprised us with just how good it was as a family destination. In fact, we were so pleased, we couldn’t help but put together a list of out top ten reasons why traveling with kids in Costa Rica is an excellent idea! 1. Amazing Accommodations, Reasonably Priced: As a family we’re all about finding cool, independently owned hotels on a budget – that’s what we do as the founders of Darn Good Digs. We learned Costa Rica is hard to beat in terms of the quantity of small little amazing digs at prices we could afford. For between $50 and $120 we stayed at art-filled bed and breakfasts, garden-surrounded cabins, and ocean-view bungalows, and kids were welcome everywhere, unlike many bed and breakfasts in the States. 2. Swimming Pools: Somehow on our previous vacations, we had missed the boat on this one, but now we’re wiser. Swimming pools were the answer for how to entertain our kid when we came back exhausted from the day’s activities. Whether hiking, surfing, or sightseeing, we could return home mid-afternoon to swim and relax for a couple hours before dinner. Or, we’d go for a dip before breakfast. Or maybe after dinner. The possibilities were endless! Swimming pool at Samara Palm Lodge. 3. Plenty of Nature Packed in a Small Area: We were stunned by how quickly we could go from cloud forest to volcano to sandy beach to dry forest. Take hiking in Rincon de la Vieja National Park. Here you can literally hike from rainforest to dry desert within a few meters, with steaming volcanic vents along the way. Then get in a car and be at the beach in under an hour and a half! 4. Didn’t Get Sick: Before we had our son we’d been to the South American Andes and South Asia and we know how to appreciate amazing places, even after being laid out with a stomach bug for 48 hours. This is an experience we would not wish on our worst enemy, let alone our little boy. So we were thrilled that no one got sick in Costa Rica. Maybe we would have been fine either way, but we did stick to bottled water and milk-based fruit shakes. 5. Felt Safe: We had heard about tire slashing robbers and mustard-squirting pickpockets, but we never experienced anything of the sort. Granted, we took the recommended precautions, such as never leaving anything in our car and holding tightly to our bags in San Jose. Those just seemed like common sense ideas for travel pretty much anywhere. 6. 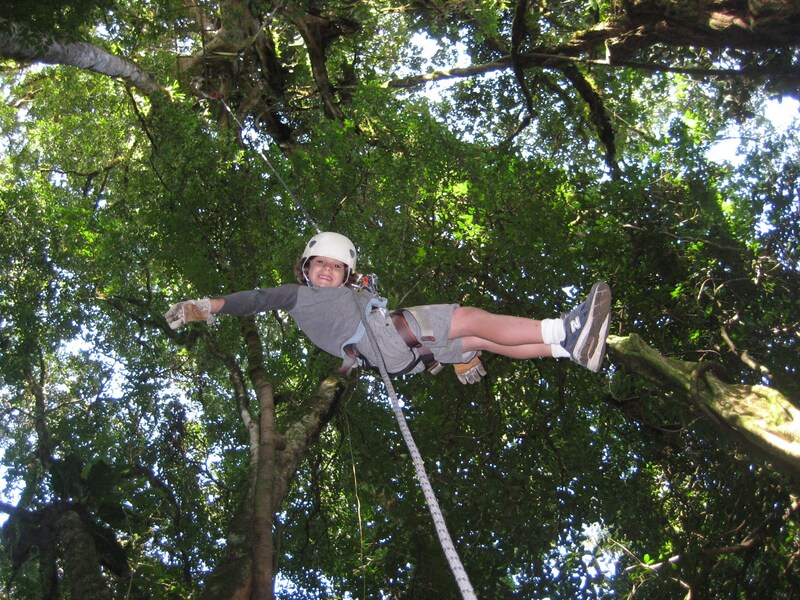 Kid-Friendly Adult Activities: We want everyone to be happy on vacation, not just our kid, and Costa Rica did not disappoint anyone. Beaches – we’re all good. Volcanoes, yep again. 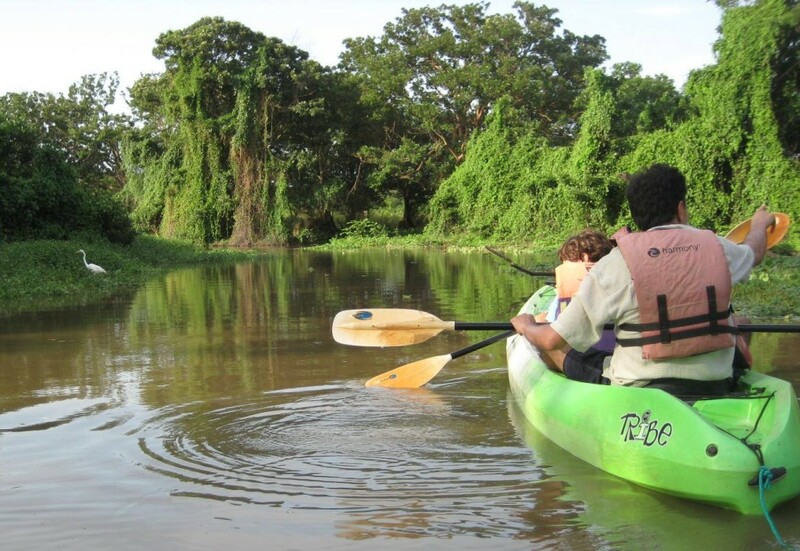 How about river safaris or ziplining? Perfect. 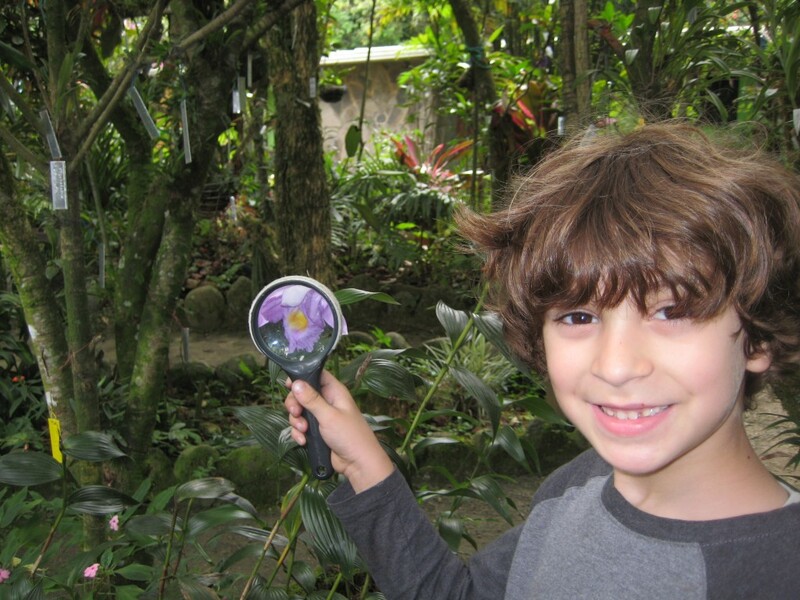 On some of the longer rainforest hikes, we did have to get a little creative to keep Benjamin enthusiastic – making up scavenger hunts with us looking for coati, howler monkeys, and loads of colorful birds. And, if anyone finds the elusive resplendent quetzal, ice cream sundaes for everyone! The Orchid Garden in Santa Elena. 7. 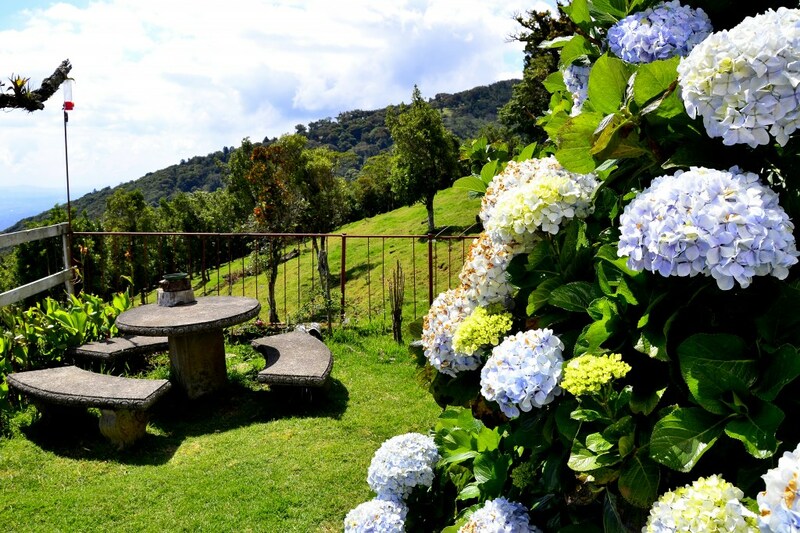 Green Season: Our summer is Costa Rica’s “Green”, aka rainy, season. At first we figured, do we really want to spend our vacation waiting for the downpours to end? As it turned out, it barely rained during our 19 days in Costa Rica. And when it did rain, it was usually in the evenings after we had settled in. Some people told us it was El Niño; others said La Niña. We’re not sure what the deal was, and maybe it was an anomaly, but the weather was pretty much perfect. To top it off, we got to take advantage of appealing Green Season discounts all along the way. 8. Casado: How many times can someone eat the same dish? Allison took to Arroz con Pollo with a vengeance, and I couldn’t get enough of my daily casado de pollo – with plantains, rice, chicken, and green salad. Benjamin survived on breakfast (his favorite meal) plus fruit shakes, french fries, and pizza. He’s a picky eater, so it wasn’t all that different from back home! And, we splurged a few nights in places like Gingerbread, near Nuevo Arenal, where the food and service were phenomenal – rivaling many a New York City hip restaurant for half the price and no wait. Building sand castles in Playa Carillo, near Samara. 9. Non-Stop Flights, Two Airports: Granted we live in New York, so we have the benefit of flights to pretty much anywhere in the world right outside our doorstep. Still, we definitely appreciated the five hour, relatively affordable (under US$500) non-stop flight into San Jose airport and out of Liberia. Easy-peasy. 10. The Roads (w/ 4WD): For everything we read about how awful the roads were, maybe we just had low expectations. We drove around Costa Rica thinking the roads were no problemo. Where the roads were paved – main drags like the Pan American highway – we found the pavement in good shape . Where they were a dirt mess, like the roads around Monteverde or on the Nicoya Peninsula, our 4WD handled everything just fine (including fording a shallow river). Our main recommendation, though? Stick to driving during the day. All in all, we had a fabulous vacation. And we’d do it again in heartbeat. Here’s our 19 day itinerary, including the Darn Good Digs where we stayed. 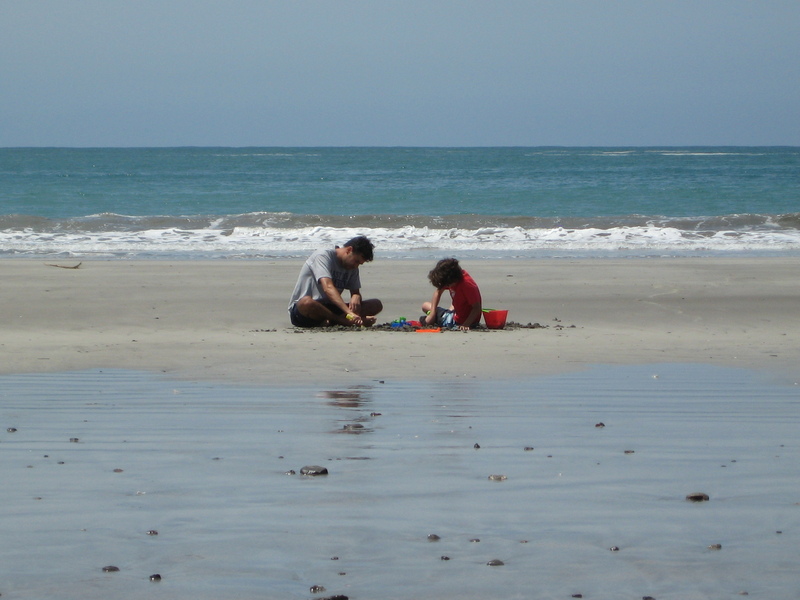 And below, let us know if you’ve ever traveled with kids to Costa Rica. This past summer we spent almost three weeks traveling around Costa Rica with our seven year old son, and along the way we stayed in some fantastic places. We’ll be publishing some of our hotel reviews here on the blog (or visit our Costa Rica hotels page to read them all in one place). What makes Poas Lodge and Restaurant so Darn Good? Wow – the view! Feel the stress drain as you sip your wine in the candle-lit lounge staring out the wall of windows, mesmerized by the twinkling lights of San Jose below or a lightning storm in the distance. Location: On the main road just two kilometers from Poas Volcano National Park, the lodge is the perfect place to stay for an early morning visit to the volcano before the infamous clouds roll in. 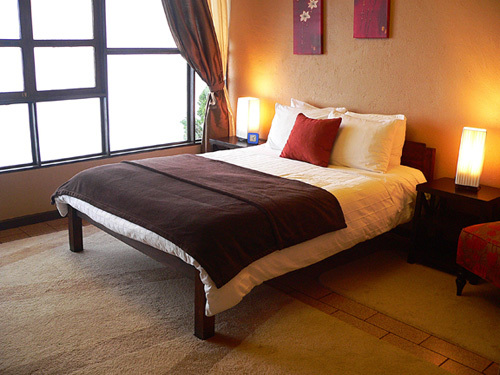 The lodge is forty-five minutes from the San Jose airport and even closer to the Doka Coffee Estate and La Paz Waterfall Gardens. Rooms: Decked out in soothing neutral tones, the lodge’s five rooms have comfy beds with warm soft blankets, fresh-cut flowers, and views overlooking the Central Valley. Hummingbirds dart around the feeders in the lodge’s hummingbird garden, and cows graze in the fields below. Food: The Lodge’s restaurant/lounge serves up delicious food in a supremely atmospheric setting. The breakfast spread includes home-made cakes, a choice of cereals, fresh fruit salad, and a hot entree, such as the traditional pico de gallo. For dinner, the menu offers both typical Costa Rican fare and International dishes – either way you go the food is wholesome and fresh. For lunch we went right next door to a little restaurant, which served up the best arroz con pollo I ate on the whole trip (and I ate a lot!). Vibe: Super-chill, especially at night when the candles are lit. The managers, Mark and Oliver, are a couple of friendly guys from South Africa who know how to run a killer lodge and restaurant. Keep in Mind: Bring warm clothing as it is cool up at Poas, though in the lodge you’ll find heaters in the rooms and cozy blankets in the lounge to keep your warm. Summer is just about here which means it is time to get your vacation on! We at Darn Good Digs are doing our part by slowly but surely adding extraordinary, and only extraordinary, digs to our website. As a fan recently commented online at the New York Times, Darn Good Digs is “how I find great places to stay when I travel far from home. The recommendations are solid.” Cheers! Let’s toast to that. 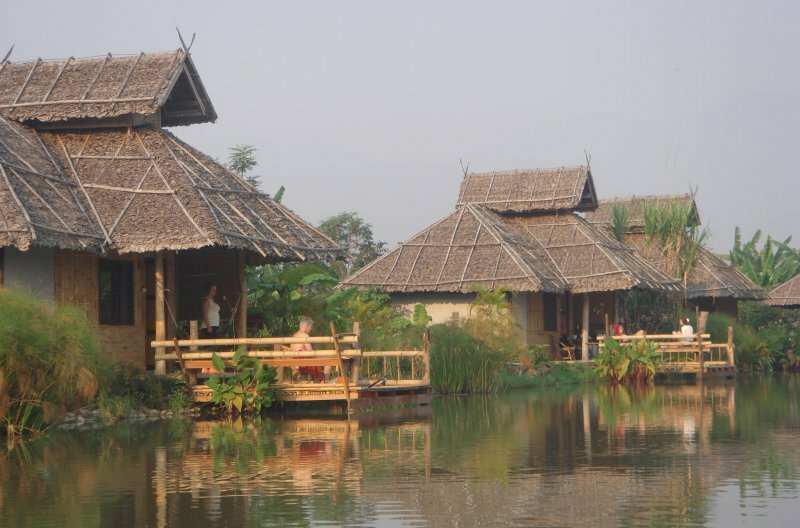 Bueng Pai Farm, Pai, Mae Hong Son, Thailand: Surrounded by rice paddies in a gorgeous mountain valley, the farm has private bungalows overlooking a quiet fishing pond where guests can fish right from their hammocks. The Motor Lodge, Prescott, Arizona: Just three blocks from Prescott’s town square, the Motor Lodge has been lovingly rebuilt, restored, and funkified by its new owners. 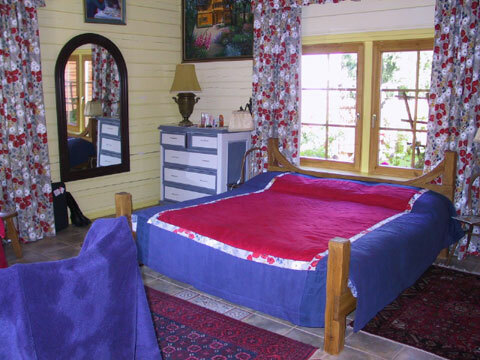 The Shady Dell, Bisbee, Arizona: Stay in your own vintage trailer decked out in a retro theme, complete with authentic interiors, period tableware, and mid-century appliances. 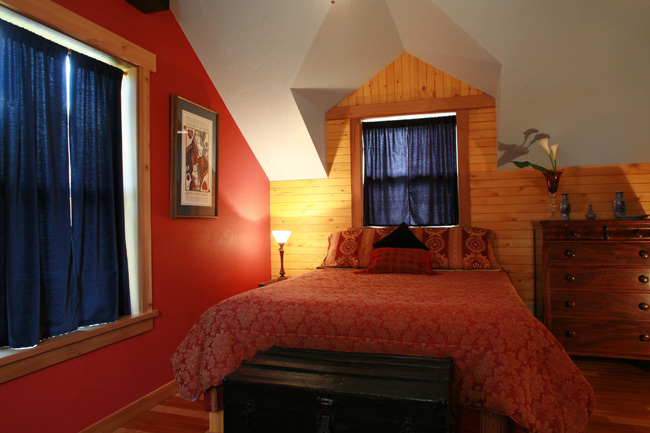 Juniper Lane Guest House, Friday Harbor, San Juan Island, Washington: Beautifully restored house with gorgeous rooms and a perfect location within strolling distance to Friday Harbor. Skapo Apartments, Vilnius, Lithuania: Three apartments clustered around a lovely cobblestone courtyard smack dab in the middle of Old Town Vilnius. But the good times don’t stop there. We’ve also added reviews for digs in St. Lucia, Joshua Tree, Hawaii’s Big Island, Mexico City, Normandy, Lisbon, Phnom Penh, Singapore, South Africa, Belize, Southeast Florida, and many other fabulous locations throughout the world. As always, please nominate your favorite digs (with rooms under US$150) and spread the word about Darn Good Digs to your traveling friends and family. We need you to make our website as awesome as it can be! P.S. Don’t forget to subscribe to our blog, like us on Facebook, and follow our tweets. Hotel Cielo Rojo is a simple, yet stylish hotel decorated in mellow Mexican colors and folk art lovingly collected by the owners on their world journeys. The hotel’s restaurant surely must rank among the best restaurants in the state of Nayarit. The chef uses organic, locally-sourced ingredients including fish caught that morning by village fisherman in small boats. What’s more, this eco-friendly hotel uses biodegradable detergents, makes their own natural hand soaps, and has an active recycling program. Rooms start at US$85. 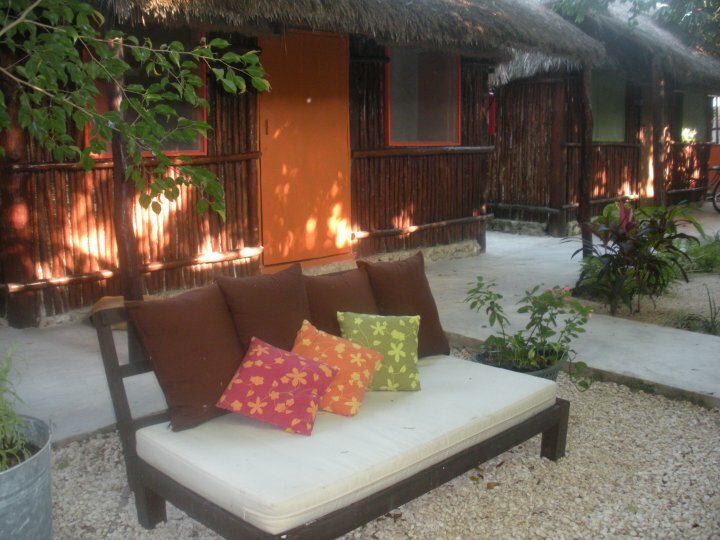 Just a short walk from Tulum’s bus station and lively Avenida Tulum, the Secret Garden Hotel consists of nine cabanas surrounding a beautiful and peaceful garden decked out with hammocks and sofas. The hotel’s owner, Joshua, is wonderful, kind, and uber-generous with his heaping knowledge of all things Tulum. Rooms start at US$40. 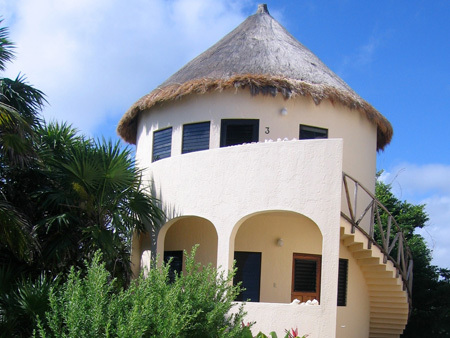 Villa La Bella is a colorful six room bed and breakfast on the small island of Isla Mujeres, a short ferry ride and a world away from Cancun. The Villa offers a peaceful adults-only getaway with a low-key vibe away from the tourist crowds. Ashley and Curtis, the on-site owners, are gracious hosts, not too intrusive, but available for any questions about the island or your stay. Rooms start at US$110. Balamku Inn on the Beach, an eco-friendly hotel on Mexico’s beautiful Costa Maya, has been nominated by the World Travel Awards as a Leading Green Hotel in Mexico and Central America two years in a row. Balamku is powered by solar and wind energy and its ten beachfront rooms are situated to maximize natural ventilation. 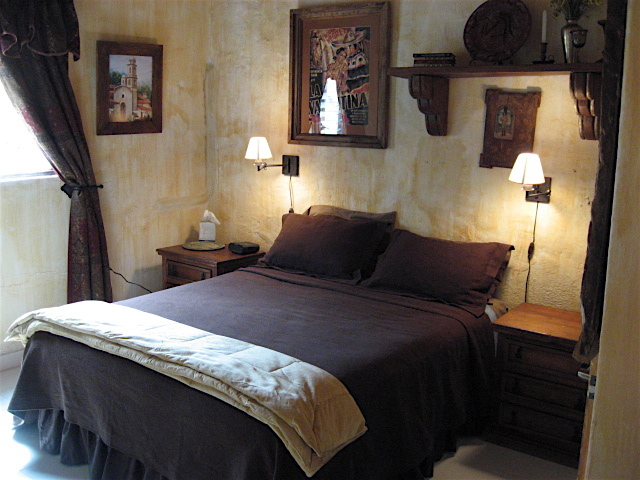 The airy rooms are tastefully turned out with tile floors and colorful Mexican art. Rooms start at US$75. Painstakingly restored by its new American owners, and only three blocks from Ajijic’s main plaza, Adobe Walls Inn is an atmospheric Spanish-style hacienda furnished throughout with Mexican antiques. Rooms starting at US$55. 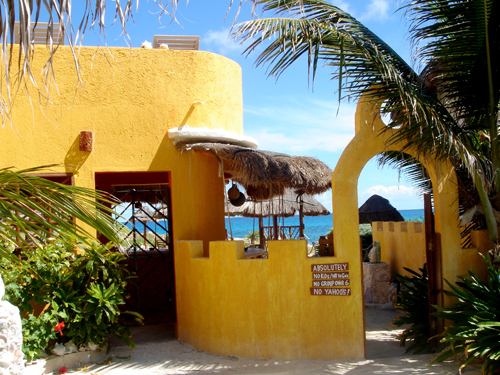 We have many more amazing small hotels, bed and breakfasts, and inns included in our Mexico Guide. If you have any places to recommend from your travels in Mexico, please use our Nomination Form to let us know – we’re adding new hotels all the time based on your suggestions. This past summer we spent three weeks traveling around the Baltics with our six year old boy. We look for non-stop flights whenever possible, so we naturally appreciated Finn Air’s non-stop NYC-Helsinki flight – not to mention that it happened to be one of the cheapest flights to Europe at the time. After three nights in Helsinki, we took the ferry to Tallinn where we rented a car. We loved our trip, but we’ll add that it was pretty fast-paced. If we were to do it again, we might slow down a little bit. 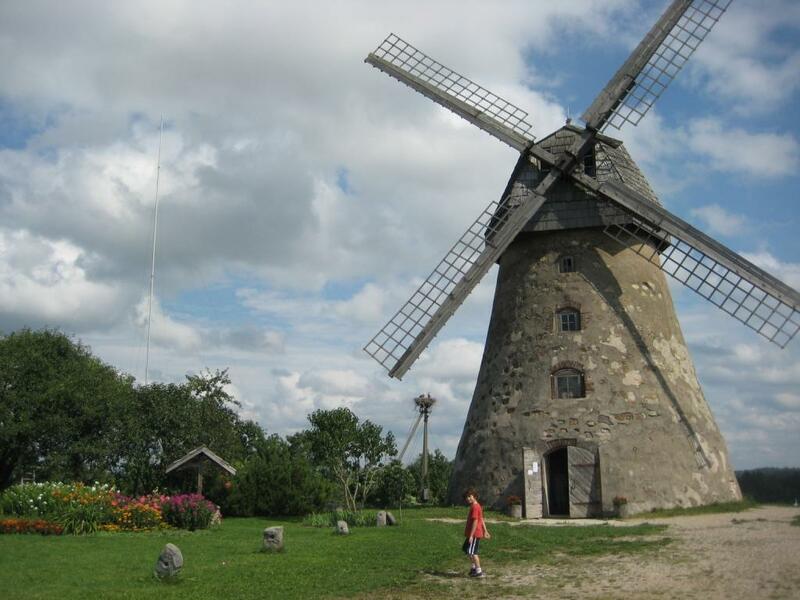 Here’s what our three weeks in the Baltics look like. We’ve added reviews for two hotels from our trip, Homestay in Riga, and Skapo Apartments in Vilnius, on Darn Good Digs. If our six old had his say, he would’ve added the converted prison Hotel Katajanokka in Helsinki and the Hotel Pils in Sigulda with its suited knight in the stairwell. The reason why we left Palanga blank is because we don’t remember where we stayed; the Info Hotel overbooked us and sent us to a pension further out from town center. Stay tuned for more posts about our Baltics adventure. In his blog post earlier this year, Arthur Frommer challenged us to find and review 500 Darn Good Digs around the world, and we think we’re well on our way. In a few months, we’ll have published over 200 reviews, and we’ve added even more colorful photos than ever before. 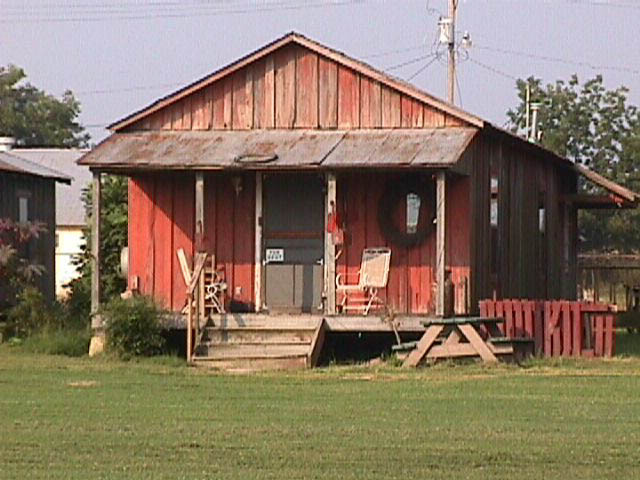 You can help by nominating your all time favorite digs! If you haven’t visited Darn Good Digs recently, please stop by and check out our new logo! We sponsored a web design contest, and Alvin Rasay from the Philippines won hands down. As always, please help us spread the word about Darn Good Digs to your traveling friends and family, and if you stay at any of our digs, make sure to let the owners know how you heard about them. Finally, we send out a big “Thank You!” to all of our readers and contributors for helping us build a one-of-a-kind guide to the world’s best independently owned accomodationsfor budget-minded travelers.